This court approved self-study guide promises to provide you with all the initial information you will need as a parent of divorce. It will help you traverse the legal and emotional aspects of divorce. This do it yourself workbook contains easy to follow chapters, and a quiz at the end if you are interested in or need to receive a certificate of completion for the courts. With the divorce rate in the United States at 50%, it has become increasingly important to educate all parents going through the process of divorce about the specific effects divorce can have upon their children. Although you may have ended a bad marriage, it is possible to have a good divorce. The choices you make now, as to how you choose to manage your divorce, will be largely indicative of how your child or children will be able to cope with your divorce. There are better and worse ways to divorce. Commit to taking the high road. Divorce is difficult - but it doesn't have to be devastating. Been There, Done That! 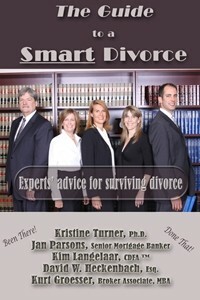 The Divorce Team has been providing comprehensive divorce related services to clients for years. With decades of collective experience between us, this book will offer you guidance from your most pressing legal problems to the emotional needs of your children. Let our financial analyst help you re-establish a workable budget. Let our mortgage banker and realtor help you determine whether or not to sell your house. Perhaps you need help filling out all the legal paperwork, dividing assets or working out parenting plans. Maybe you just want to learn more about rebuilding your life when your relationship ends. 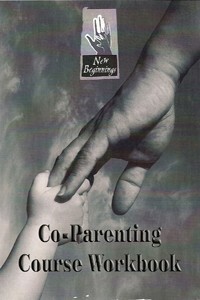 The DVD is designed for both parents and teenagers. It is an educational video, that includes interviews with teens who have been through divorce. In essence, it's a chance for teenagers and parents to hear from other teens (aka their peer group) about divorce. The DVD covers what works, and what doesn't work during a divorce process from the teenage perspective. For parents it's a chance to get behind the scenes and find out how to help your kids traverse the divorce process. For teens, it's a chance to hear from their peer group about coping strategies for their parent's divorce. As we all know teens would rather listen to one another than take advise from adults. This video does just that! Hear from the voice of the teenagers who have lived through the divorce transition! Great tips for helping your family through the divorce process!